INDIA – Tata Steel’s civic utility wing Jusco is in the process of commissioning a zero liquid discharge (ZLD) unit in Jamshedpur. The Rs 25 crore ($3.6 million) project uses UF, RO and evaporation treatment stages to will supply treated wastewater for industrial and horticultural purposes. Located at Bara in Jamshedpur, Jharkand State, the plant can treat up to 30,000m3/d of industrial and municipal wastewater. The UF and RO treatment stages at the Bara plant are already in operation, with the ZLD component set to commence operation in the coming weeks. An additional plant at Kharkhai, commissioned in 2017, treats 10,000m3/d of sewage for reuse in horticultural applications. 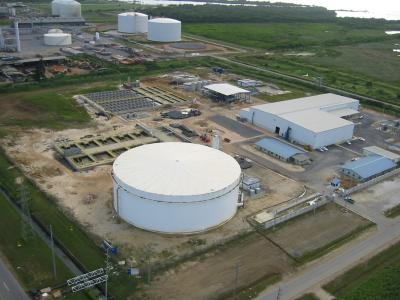 SINGAPORE – Hyflux is looking to sell its share in the Tuaspring independent water and power project (IWPP) - Singapore’s largest desalination plant - to repay stakeholders and facilitate the company’s restructuring. There are currently eight potential buyers for the plant and a final buyer will be selected by October 15. 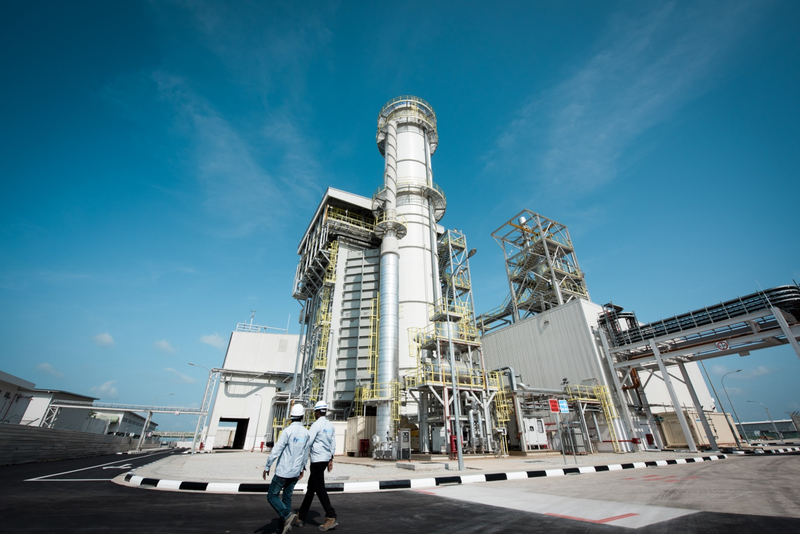 The larger Tuaspring project consists of the desalination plant and a gas turbine power plant—it is Hyflux’s single largest asset. The plant has a $1.02 billion book value but is incurring losses on power generation units commissioned in 2016. Its sale will be a crucial step for the debt-laden firm. It is not clear whether Singapore’s government will support Hyflux’s restructuring efforts. JORDAN – A $2.8 billion scheme to develop the northern zone of Aqaba, Jordan will involve additional desalination capacity to serve new industrial users. Part of the project’s land will be assigned to industrial investments and this zone will include a desalination plant with an initial capacity of 54,795 m3/d, reaching 329,000 m3/d upon completion of the scheme. Early next year the Aqaba Special Economic Zone Authority will offer tenders internationally, with construction work set to begin in 2019. 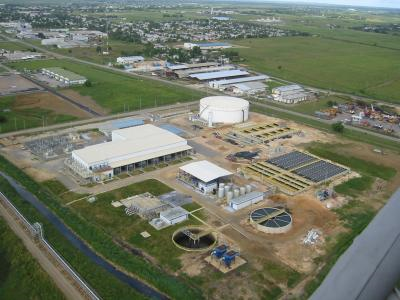 TRINIDAD AND TOBAGO – The 190,000m3/d (50.4 MGD) Point Lisas Desalination Plant experienced an emergency shutdown lasting several days due to problems with control systems at the plant. Owner-operator Desalcott (Desalination Company of Trinidad and Tobago), carried out emergency repair works from July 17th-20th. Water production is now slowly being brought back to full capacity. Limited tanker services have been implemented to offset the reduction in water supply. The Pont Lisas plant was originally commissioned in 2002 with a capacity of 26.4 MGD (100,000m3/d). It has been since been expanded six times to reach its current capacity. Water and Sewerage Authority (WASA) issued a statement that the plant was restarted on Saturday and that resumption of normal water supply is expected to take 24-36 hours. U.S.A. – Orion Water Partners has hired a consultant in preparation of a potential sale of the Carlsbad Desalination Plant in California. The desalination facility has a capacity of 189,270 m3/d, supplying 400,000 people and making up around one-third of San Diego County’s water supply. The plant may raise over $1 billion, including the assumption of debt. Orion Water Partners is a joint venture consisting of Poseidon Water and Stonepeak Infrastructure Partners. “Zero wastewater milestone in sight”, telegraphindia.com, July 21, 2018. <https://www.telegraphindia.com/states/jharkhand/zero-wastewater-milestone-in-sight-246426> accessed July 23, 2018. “Debt-laden Hyflux lines up buyers for Singapore water plant,” Nikkei Asian Review, July 21, 2018, <https://asia.nikkei.com/Asia300/Debt-laden-Hyflux-lines-up-buyers-for-Singapore-water-plant> July 24, 2018. “Jordan plans $2.9bln project for north Aqaba”, zawya.com, July 16, 2018. <https://www.zawya.com/mena/en/story/Jordan_plans_29bln_project_for_north_Aqaba-SNG_121120598/> accessed July 23, 2018. “Emergency repair works at Desalcott to be completed by Friday”, looptt.com, July 19, 2018 <http://www.looptt.com/content/emergency-repair-works-desalcott-be-completed-friday>; “Relief soon for South, Central residents at Pt Lisas plant restarted”, looptt.com, July 23, 2018 <http://www.looptt.com/content/relief-soon-south-central-residents-pt-lisas-plant-restarted> accessed July 23, 2018. See also “Point Lisas Desalination Plant slowly ramps up production,” Ctvtt.com, July 24, 2018 <http://ctvtt.com/ctv/index.php/c-news/news/item/57163-point-lisas-desalination-plant-slowly-ramps-up-production> accessed July 26, 2018. "Stonepeak, Brookfield Weigh Desalination-Plant sale”, bloomberg.com, July 17, 2018. <https://www.bloomberg.com/news/articles/2018-07-17/stonepeak-brookfield-are-said-to-weigh-desalination-plant-sale> accessed July 23, 2018.